I’m so psyched about the new hair product that I received as a gift, that I have to tell you guys about it! Maybe some of you already know it, but this is the first time I used it and it’s doing wonders with my hair. I recently let my hair grow because I want it long, but I need to make sure it’s healthy too. Being really fine, soft and sleek, I have some problems detangling it almost every day. So this turned out to be the exact product I needed for my hair! It’s called Daily Care Leave-In Detangler and it’s from Joico. For us Romanian gals, I searched the web a little and I found a few sites where we can buy it: www.CristinaCatana.ro, www.Beauty-Store.ro, www.BeautyDreams.ro. It costs ~60 lei, but I’m telling you, I really think it’s worth the price. @ Shopperita – Ah, uite ca de site-ul asta nu stiam. Mersi pt info! 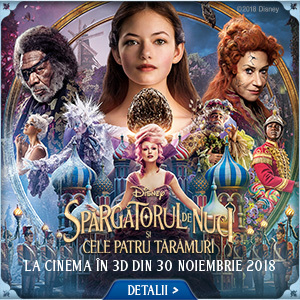 😀 Sa te uiti totusi si pe BeautyDreams.ro…. au produse si la un litru la un pret super. I don’t think I could get through life without detangler, although for the exact opposite reason from you… My hair is thick and curly with a mind of its own! I’ve used lots of leave-in detanglers over the years, but right now I have a Garnier version that has been discontinued. Thanks for recommending a great new product! @ Cee – I sooo understand you. I’m glad I could help. I know how frustrating it is when a product that you love gets discontinued.